Response: Due to the extensive use of technology as the first step in the hiring process, there have been vast changes in resume submission and review. Because of this, you need to change the way you craft your resume. When employers ask you to complete an online application that involves filling in text boxes, your application will go into a database which uses a search engine to find “best fit matches” with the employer’s position. 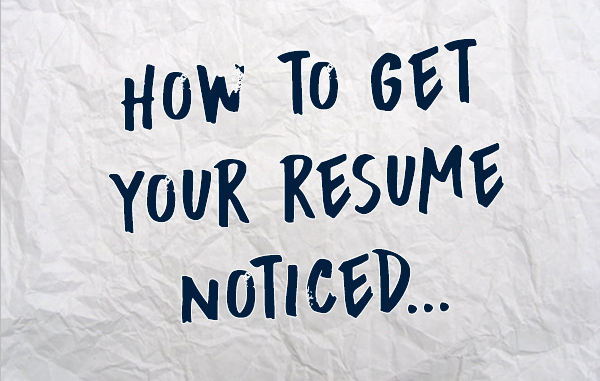 Here are three areas to focus on that will get your resume noticed. If you plan to continue working in the same field, instead of an objective you’ll want to go with a professional, well-worded summary containing a few sentences (two to five lines) that encapsulates your accomplishments and highlights your strong points. Twenty-plus years of progressive leadership positions in product development and manufacturing engineering management in high technology industries. Experienced at complex problem solving, product innovation, high level customer relations, engineering strategy development and selecting and retaining top engineering talent. Add some expertise bullets below to match the language of each job posting. If you are looking for employment in a new field, using an objective within a “Qualifications” section can work. Seeking an admissions position where I may best utilize my thorough decision-making skills and ability to promote and generate enthusiasm for an organization’s mission. The statement should highlight what you can bring to an employer (as opposed to what you want from them) and be customized to each job you are applying for. You are moving into a new field and therefore will want to avoid using expertise bullets. Instead, highlight a few of your relevant, transferable skills that fit the position requirements. Relationship builder – Experienced at using excellent listening, questioning and observational skills to build connections and lasting relationships with people of all ages and backgrounds. Provide a brief summary of the role and use bullets to highlight two to five of your accomplishments or successes in the job. It’s more important to impress employers with your specific contributions and the value you brought to the tasks than with job descriptions, company information, or daily duties. Established and implemented a wide range of nationwide marketing events for computer graphic companies. Point person for existing accounts and head of business development in New England territory. Increased new customer accounts by 20 percent through quality customer services, products and delivery while consistently maintaining established client base. Established, planned and implemented presentation materials for ABC, DFG, Big Top Inc. and several other large accounts. Enumerate results or use language that demonstrates the scope of your work whenever possible. Customize the achievements you choose to highlight, using those which you believe will be most relevant for the role to which you are applying. Whenever possible, match your words to the posting. For example, use the keywords “customer service” if the posting contains that language, but change them to match if different keywords are used in the posting because these words will be utilized by the applicant tracking system‘s search engine. If you use these techniques, your resume is far more likely to be selected from the database or pile. The appearance of your resume matters because you’ll now be printing it out or emailing it to others. You’ll want a resume that is not too dense, with white space and a visually appealing design. A visually unappealing resume or one that is hard to read may merit only a quick scan or get completely passed over, causing all the hard work you put into customizing and agonizing over the details to go unnoticed. Integrating these methods into your resume will improve your chances of getting your resume noticed. Remember, every position requires something different, so be sure to customize content to keep your resume relevant.